THIS IS THE LAST WEEK OF CSA! I like to hold off on cooking with pumpkin until after the fall equinox. This year to celebrate the beginning of fall we had our first baked pumpkin of the year and enjoyed yummy pumpkin pancakes. Having a time and season for everything does bring an appreciation to the things you love. Whether that is the first fresh salad of the season, the two weeks a year of fresh garlic scapes, the first hill of new potatoes, or the winter squash that is the gift that just keeps on giving through fall and winter. We have been so happy to have each and every one of your families join us this year for seasonal, bountiful, fresh produce. We love this time of year and are sad to say goodbye to what’s been such a ~wonderful~ CSA season. As the season starts to taper down we no longer have the quantities available to fill CSA boxes every week; our season shifts from harvesting three days a week to one, and having four days a week to get all our end of season field work done. We’ll be busy topping our garden beds with compost, planting cover crops to protect the soil over the long winter. We also switch gears mid October and start getting all our infrastructure and maintenance projects done for the year. rain, shine, sleet, hail, or blizzard we’ll be there! We also have baby greens, micro greens, and a few other items available at both Mountain Valley Foods and Natural Grocers. Now! 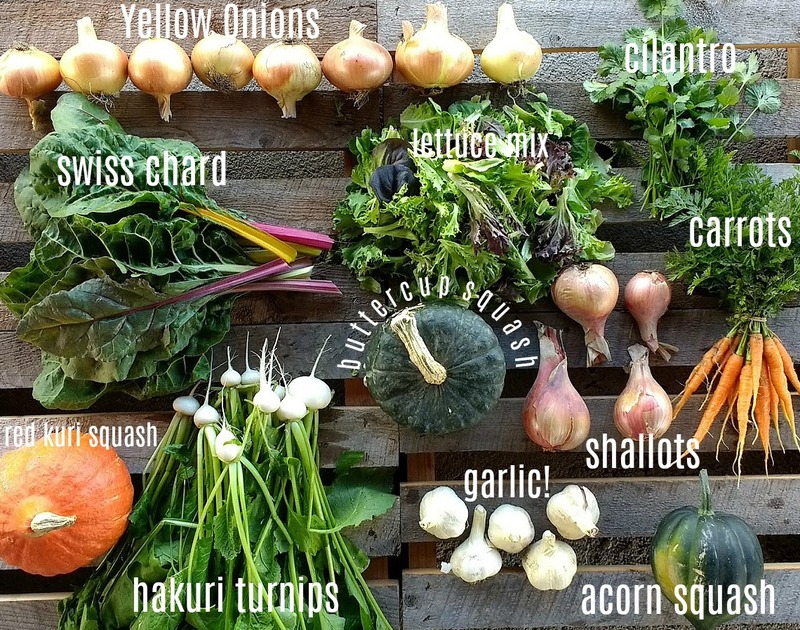 What to cook with your final precious box of CSA vegetables? I know winter squash can be intimidating to cook with if it’s not a normal part of your cooking routine. It’s difficult to grow butternut squash in our climate and we’ve found both Red Kuri and Buttercup squash make a great substitute for the classic butternut squash soup. So many delicious recipes to choose from! I love this collection because it really shows off what a versatile food winter squash is; great in casseroles, curries, soups, and stews. Delicious baked into fall muffins and breads. Something about the shifting of the seasons always makes us ready to turn on the oven. Here is a Delicious pumpkin bar recipe for using you pie pumpkin! We are so thankful to have you as part of our 2017 CSA community! We look forward to seeing you again in the spring. Take care and be well! 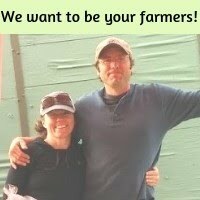 ~ Kindly, Jay and Mandy, and the Lower Valley Farm crew.